A privately owned and operated passenger rail service is on track to begin connecting travelers in four major Florida cities by mid-2017. 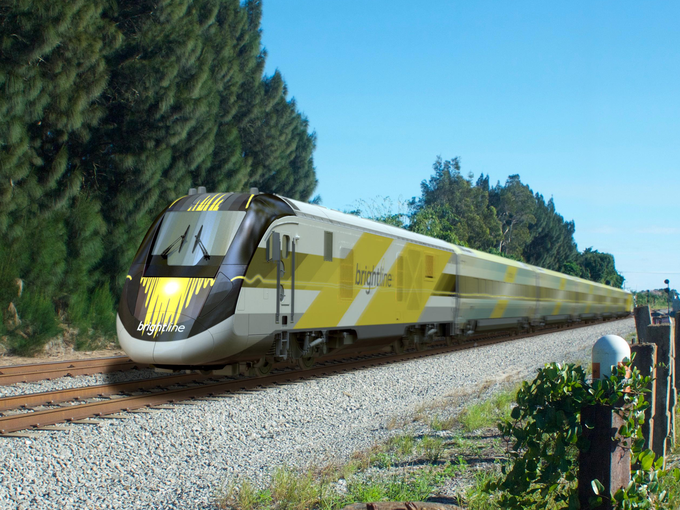 Today, All Aboard Florida is slated to reveal that the new express inter-city train travel service, which will cost more than $3 billion to build, will be called theBrightline. 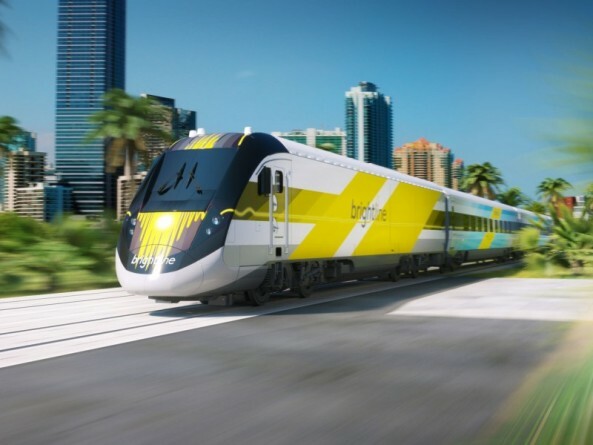 Brightline trains will connect Miami, Fort Lauderdale, West Palm Beach and Orlando along a 235-mile route. The stretch from Miami to Orlando will last three hours, comparable to what it takes to get to the airport, go through security and fly, developers say. The trains, designed by the Rockwell Group, are being built in Sacramento by Siemens. Construction has begun on stations in Miami, Fort Lauderdale and West Palm Beach and on connecting urban centers that developers hope will become dining and shopping destinations. Another station will be next to Orlando International Airport. All Aboard Florida is a wholly owned subsidiary of Florida East Coast Industries, which is involved in a range of infrastructure, transportation and real estate businesses. The project is being funded by private investors through the issuance of $1.75 billion in tax-exempt bonds and directly from the parent company. The company expects to become profitable in the first couple of years as its adds more trains and ridership increases. All Aboard Florida and tourism officials say the trains and their stations could transform travel throughout Florida, one of the country's most populous states. Providing trains as an alternative could ease congestion on the roads and alleviate pressure on crowded airports. "Half of our business is international," says William Talbert, president and CEO of the Greater Miami Convention and Visitors Bureau. "To connect Miami and those other three communities by train makes it convenient, affordable, clean and safe to travel. It gives the visitor options that we haven't had before." High-speed rail "takes more money and fully dedicated track and electrification," says Andy Kunz, president and CEO of the U.S. High Speed Rail Association. There's been a recent resurgence in interest in trains, particularly among younger travelers, says Jim Wallington, a train expert at America by Rail, which promotes train travel. "This younger generation is less car prone," he says. "They are not buying cars like we used to, and they are demanding that there be alternate transportation." President Obama's 2009 stimulus bill proposed billions of dollars in funding to create a true high-speed rail system across the nation. His efforts have stalled amid political opposition. Privately led efforts are underway to create high-speed rail systems in Texas and between Las Vegas and Los Angeles. A publicly led high-speed rail system is under construction in California. That will eventually connect Los Angeles and San Francisco in less than three hours. Unlike other privately led projects, All Aboard Florida won't lease rails. Its sister company, Florida East Coast Railway, owns the existing freight corridor. All Aboard Florida owns the right of way to run passenger rail along that corridor. In some areas, the company is installing second tracks that it owns. "Every metropolitan region across America is highly congested, and it's all continuing to grow worse as our population continues to grow," says the High Speed Rail Association's Kunz. "They're really not building any more major highways or new roads, so this leads to ever-growing congestion. The only way out of this downward spiral is to move thousands of people out of cars and into fast trains." 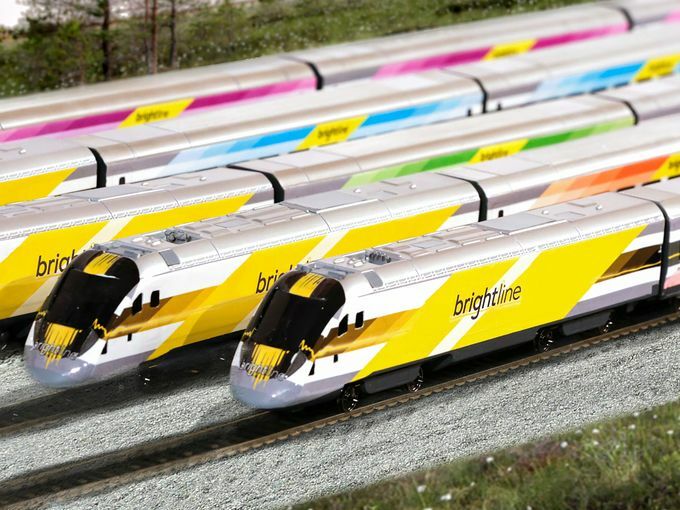 Mike Reininger, president of Brightline, says it's not just about speed. The experience matters, too. The company plans to blend train travel and hospitality in a way that hasn't been done since the heyday of passenger rail service in the 1940s and '50s. "Everything from how you communicate with us — whether on the computer or mobile device — to the experience in our stations that we are building and operating, … the seats, the tables, the bathrooms, the food and beverage are one continuous experience bathed in this hospitality overlay," he says. The company is still working out specifics of what the experience will be like. But there will be free Wi-Fi and multiple power outlets at every seat. Reserved seating will be available in various configurations, including single seats and tables for groups of four. Ticket prices have not been set. Various food and beverage options will be available both at the stations and on the train, including grab-and-go meals. The service will be pet-friendly, allowing travel with dogs and cats. Even the train's look is intended to bring the fun back into travel. In a nod to its name, each train will be painted in one of five different bright colors — red, orange, green, blue or pink — and a yellow locomotive will lead the way. Amtrak makes stops in the cities Brightline will serve, but Reininger says his company will provide more frequent stops. Also, he says, Amtrak trains typically run at slower speeds in Florida. Amtrak spokeswoman Kimberly Woods says the company would welcome Brightline's debut. "Expansion of intercity passenger rail is a positive step to ensure the mobility and connectivity needed to drive the country's economic growth," she says. Not everyone is on board with the new train service, however. Citizens Against Rail Expansion, a coalition of residents and community leaders in South Florida, argues that the rail system will compromise public safety. A number of hospitals along the route are on one side of the tracks while first responders are on the other, says Stephen Ryan, an attorney representing CARE.